Let me start off by saying that Miss Taffeta and Miss Organza were my fabric enemies at the start of this project, but by the end, we worked out our differences and we are now the best of friends. (So are the following tools of the trade: tissue paper, spray adhesive, pinking shears, Fray check, extra small needles, light thread & a ton of patience.) My seam ripper and I are also really close. I joked with a friend recently that as much time as my seam ripper and I were together these days, we might as well throw formality out the window. I now call him, “Seam” and he calls me Miss S. (Ha!!) 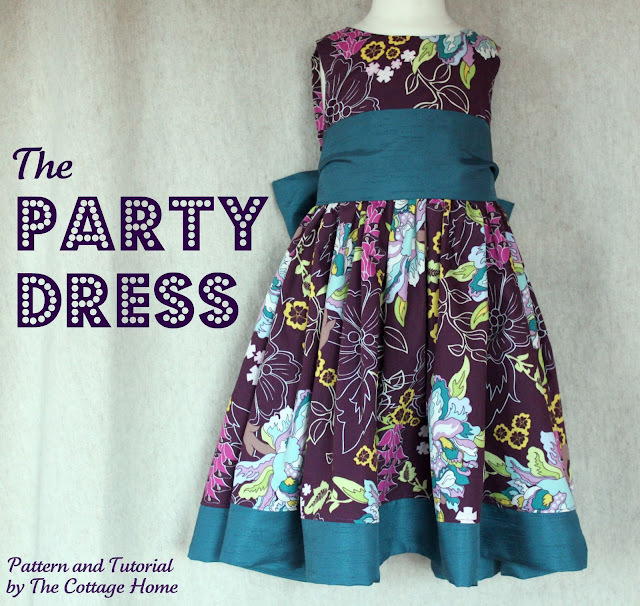 Join me on this coming Tutorial Tuesday for a Working with Slippery Fabrics tutorial. My girls are definitely girly girls but they have absolutely no problem climbing a tree, getting dirty or wrestling with their brothers if they “get out of line”. Yep! So, I felt that it was only befitting to create a dress that they could feel “princessy” in, but one that they could easily transform into something less girly if the mood struck. When I first sketched out my design, my initial thought was a dress with a detachable skirt, but the dress eventually morphed into a pant set. Once I sketched out my design, I selected my fabrics. When I found the two toned taffeta and embroidered organza, I was hooked. My design process began with a drafted bodice block. Thankfully, my girls measured the same (within a centimeter or two), so I only had to create one bodice and pant block, but because they’re proportions are changing, I had to add darts to their bodice(2) and pant (4) blocks. This was a very labor intensive project for my first week at Project Run & Play, but it was well worth the effort. Here are some our pictures from our photo shoot. The girls were perfect models, even braving the chilly weather in their sleeveless dresses. I wanted a color contrast for the back closure of the bodice, but I didn’t want the look of a standard zipper. I used an invisible zipper in a contrasting color but installed it using a standard zipper installation so that it would peek through. The detachable skirts are very easy for the girls to tie and untie themselves. Miss S! I nearly flipped when I saw the cute pants underneath! Such a cute idea! I’m so in awe of you for your fabric choice. I hate slinky silky fabrics! But you worked it! Ha! Ha! Thanks, Max. (You already know how I feel about your adorable design!) Great work, my friend! Yay! Thank you, Dianna! I appreciate that very much! My first thought was “She made TWO??! !” and then I realized it was out of taffeta! You are a brave soul! I love how colorful and fun this design was, it is perfect! Yep, I’m still scratching my head about the whole TWO thing myself, LOL. Thank you for the compliment, Melanie! WOW!!! I am in LOVE with those sets!! GORGEOUS!!!! Amazing!! Hi Homeschoolin’ mama! I remember your super cute red Christmas dress (with the ribbon Christmas tree!). Thank you for stopping by! Amazing sewing and gorgeous design. That’s how it goes with twins…you can’t make just one!! Your girls look as beautiful on the inside as they are on the outside. Love how you share your process. Your sketches are so awesome! Have a great weekend! Thank you, Suzanne! Yes, we worked hard on this one didn’t we? Keep it going! Beautiful, Shannon! I love all the details you worked into these looks. It looks like you spent lots of time making this pattern your own. Awesome job! Oh, thank you, Lindsay. You created a beautiful pattern! Love, Love, LOVE it!!!!! So talented my dear friend! Stunning outfits on two gorgeous young ladies! You did a wonderful job…times TWO! So cute Shannon, your girls look like they are ready to have a GREAT time in those fun outfits! I love how bright the colors are. Really beautiful and practical dresses. Great job! Wow, colourful, shiny, pretty sets! No ninja costume, Louise? Now THAT’s the remix that I was really looking forward to. (So creative) Hopefully I’ll see some of your awesomeness next week! Amazing as always! Very bright and beautiful! Perfect for a winter’s day. Thank you, Sally. Thankfully it wasn’t a blistery day when we took the pics. Yay for Georgia weather! I love how bright and fun those are. Your daughters make lovely models!!! I just couldn´t believe it when i first saw you´ve made two dresses, and then I read you worked with taffeta and tulle and… hat off Shannon. You are amazing!!!!!! Muchas gracias, mi amiga! Tu eres AWESOME!